It was believed in the 1940s that a design without horizontal stabilizers would avoid the interaction of shock waves between the wing and stabilizers. These were believed to be the source of the stability problems at transonic speeds up to Mach 0.9. Two aircraft had already been built using a semi-tailless design-the rocket-powered Me 163 Komet flown by Germany in World War II, and the British de Havilland DH.108 Swallow built after the war. 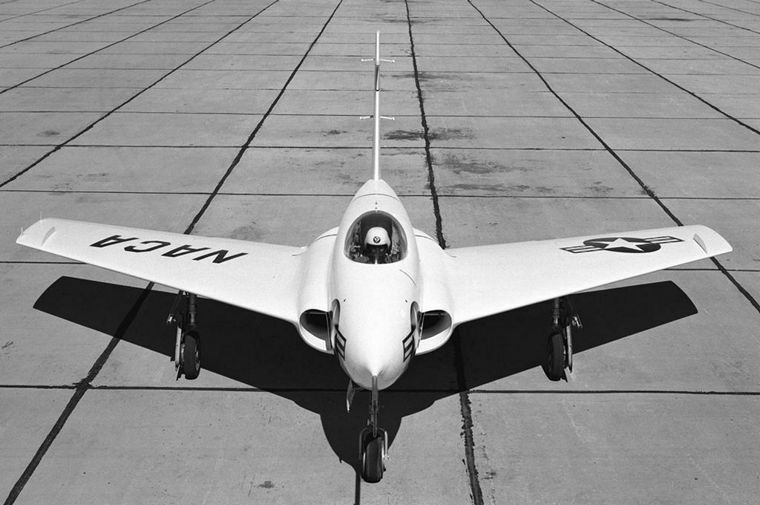 On 1 June 1946 the United States Army Air Forces signed a contract with the Northrop Aircraft, selected because of its experience with flying wing designs , for the construction of two tailless aircraft designated X-4. Northrop designed a low swept wing aircraft with no horizontal tail surfaces, depending instead on combined elevator and aileron control surfaces (called elevons) for control in pitch and roll attitudes. The X-4 was only large enough to hold two Westinghouse J30 jet engines, a pilot, instrumentation, and a 45-minute fuel supply. Nearly all maintenance work on the aircraft could be done without using a ladder or footstool. A person standing on the ground could easily look into the cockpit. 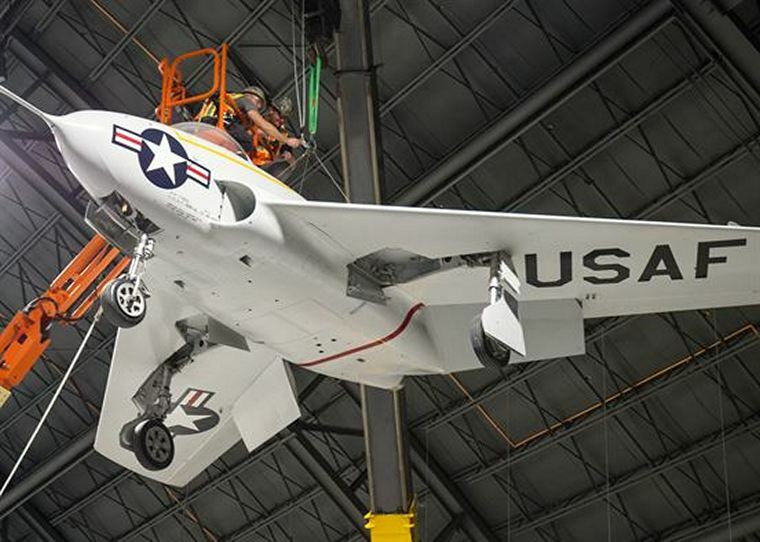 Two X-4s were built by the Northrop Corporation. 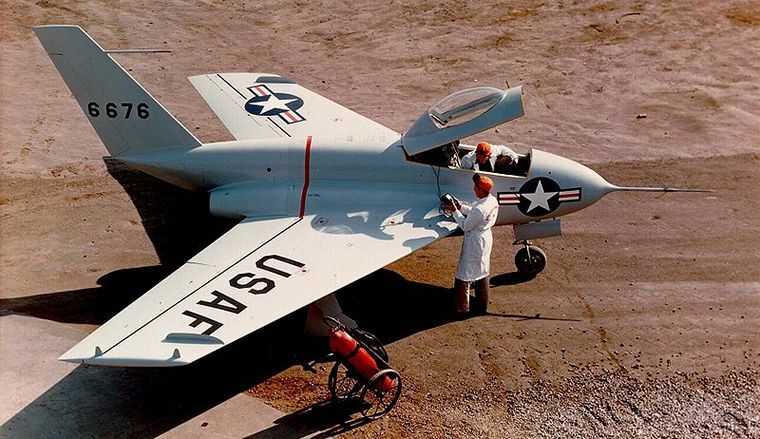 The first prototype first flew on 15 December 1948 but proved mechanically unreliable and made only ten flights. It was grounded and used to provide parts for the second. Testing on the second prototype that was far more reliable started in 1950 and continued until 1953 during which time it flew 20 flights. However, the X-4's semi-tailless configuration exhibited inherent longitudinal stability problems as it approached the speed of sound. It was concluded that, with the control technology available at the time, tailless craft were not suited for transonic flight.